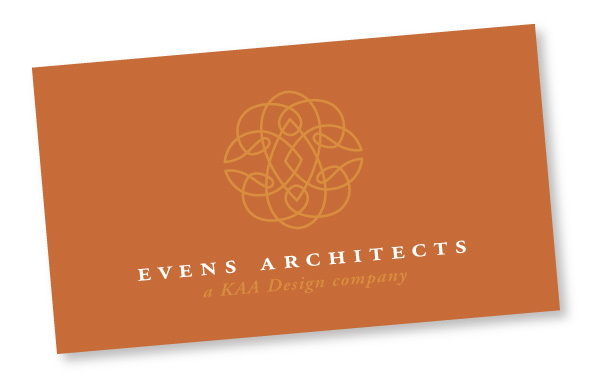 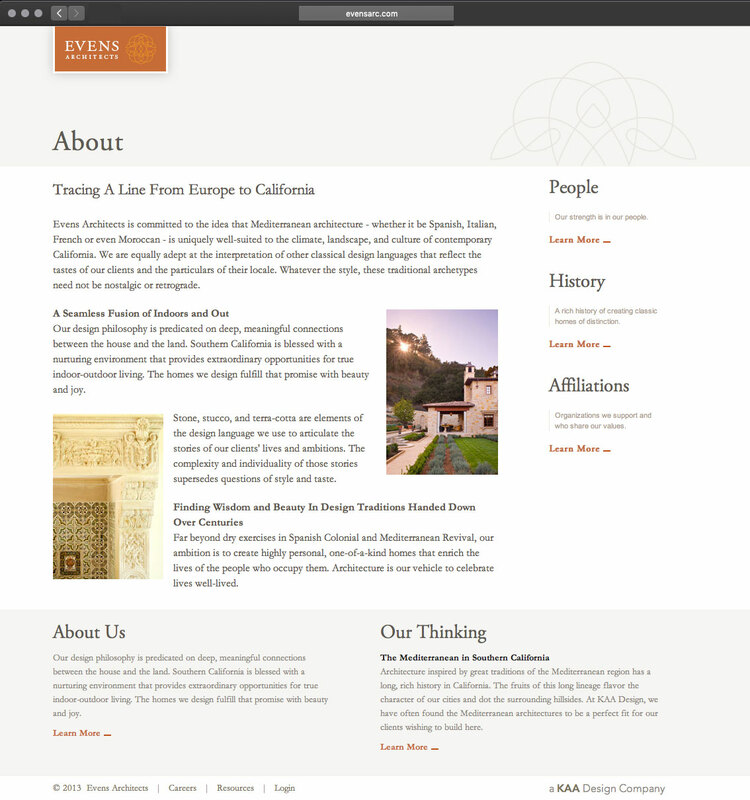 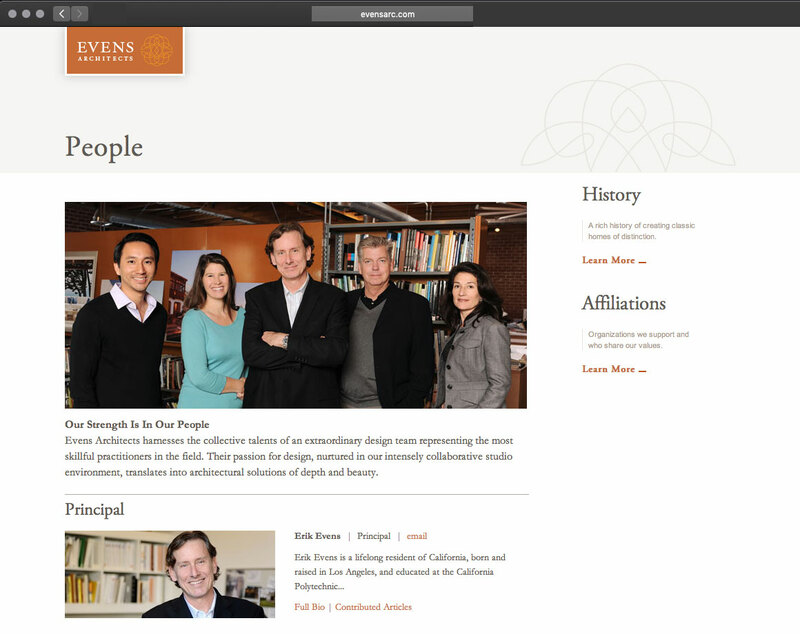 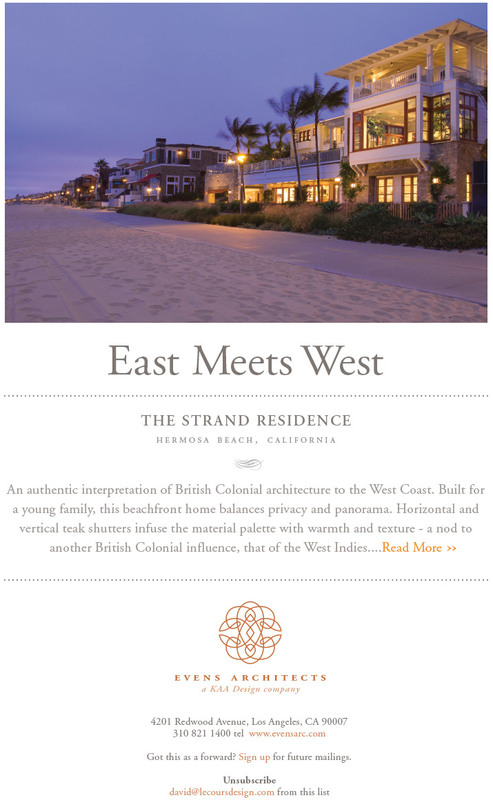 Evens Architects is committed to the idea that architecture inspired by classic traditions, whether the sources are Spanish, Italian, French or even Moroccan, is uniquely well suited to the climate, landscape, and culture of contemporary California. 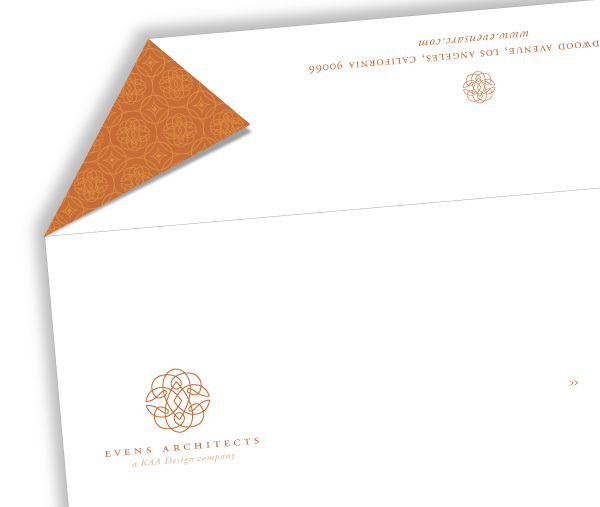 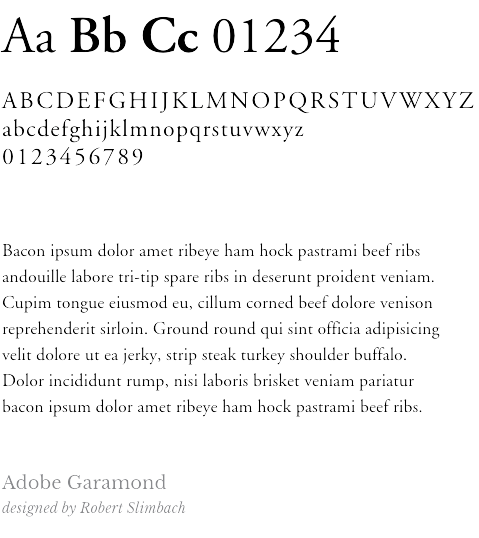 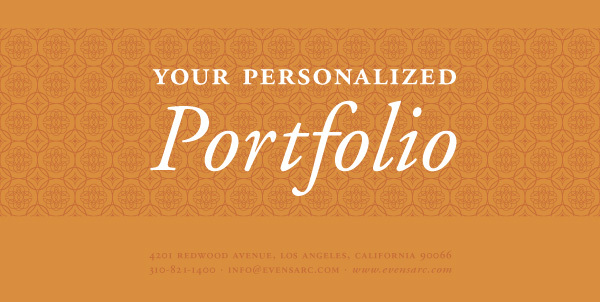 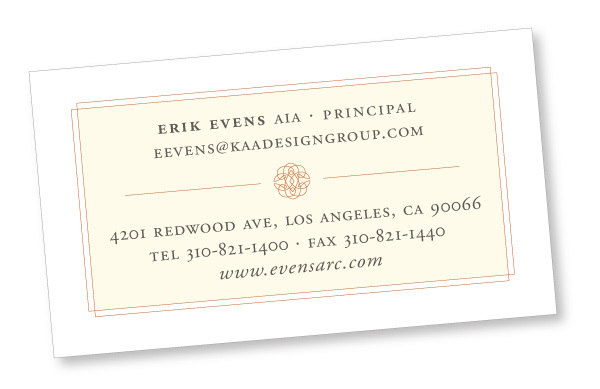 Design a symbol based on a traditional architectural ornament that is also a stylized E for Erik Evens. 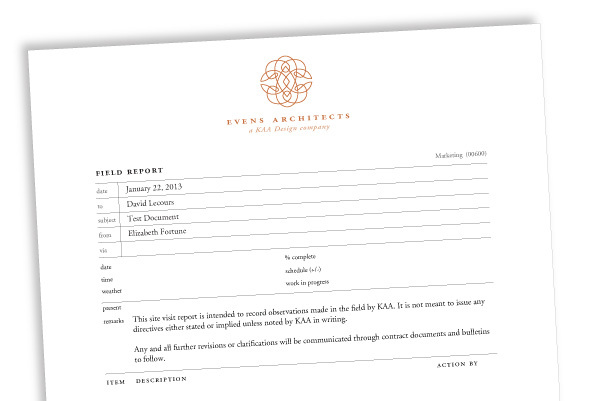 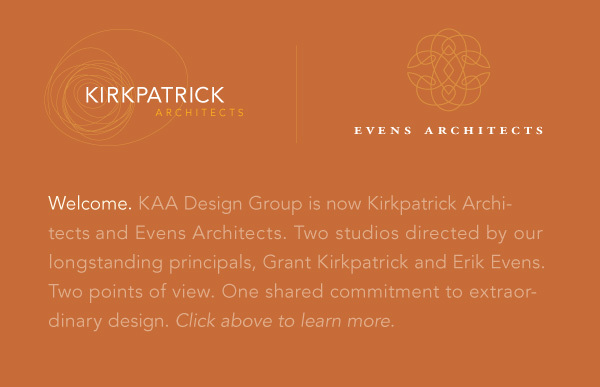 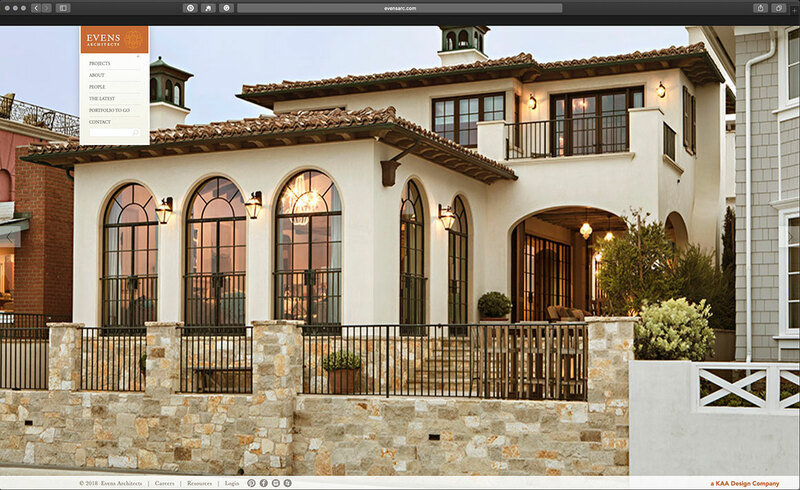 Create a visual link to the sibling studio, KAA Design, through a shared color palette.